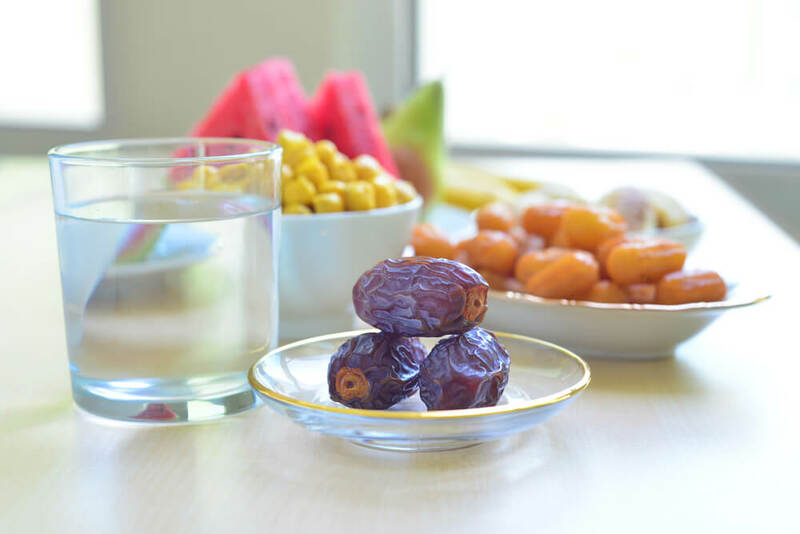 The month of Ramadan is a great opportunity to focus on bringing back a balanced and healthy lifestyle in your life.Through fasting you begin to learn how to manage your eating habits, how to improve self-control and discipline.This month requires you to give the stomach a break, and by doing so you are able to break down and expel the accumulated toxins from your body. Just as breakfast is the most important meal of the day, ‘Suhour’ (the meal eaten before dawn) is equally important during Ramadan. The pre-dawn meal helps your body stay hydrated and fuelled up on energy and nutrients until your next meal at iftar. It also helps you avoid overeating when you break your fast at sunset. Complex carbohydrates: Oats, wheat, lentils, grains and other complex carbohydrates (like fava beans) are slow-releasing carbs, helping keep your blood sugar steady and giving you a feeling of fullness for the greater part of the day. High-fibre foods: Fibre-rich foods are digested slowly and include cereals, dates, figs, bran, whole wheat, grains, seeds, potatoes, vegetables and almost all fruit especially apricots and prunes. Bananas are a good source of potassium and other essential nutrients that help keep your body hydrated. Protein-rich foods: High protein foods like eggs, cheese, yoghurt or meat are also recommended as they can help replenish your energy throughout the day.